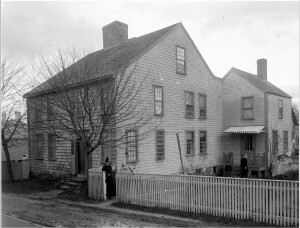 The house located at 15 Quince Street was built about 1812 by Joseph Edwards, a twenty-seven-year-old ship and house carpenter who was married to Lydia Gates. It was unusual for carpenters to be both housewrights and ship builders, but the deeds for the property and other historic research clearly indicate Edwards was one of the craftsmen who worked in both professions. Joseph Edwards had purchased the land for his house from Paul Coggeshall in 1811. He resided at his new house until his death in 1863, at which time the property passed to his son James. The house remained in the Edwards family until 1889. Gardens, yards and open space are vital parts of the town and historic districts but most have changed dramatically over the years. The town’s landscape was rather barren until the mid 19th century. There were small dooryard gardens but rear yards held outhouses, carriage houses, sheds, stables and even chicken coops. These spaces were often separated by plank fences to keep animals in and to shield the yards from public view. 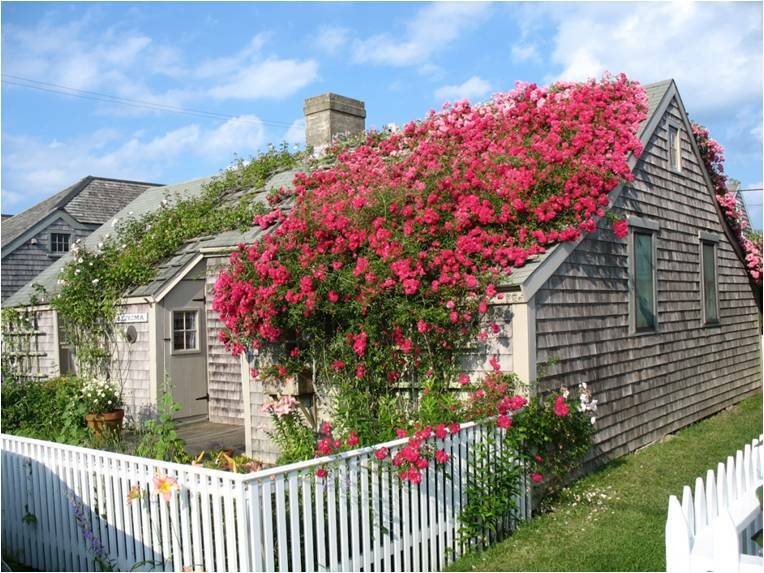 It was not until the mid to late 19th century that flower gardens and exotic plants came into fashion—first at the homes of the wealthiest islanders and eventually at the quaint summer cottages in Sconset. 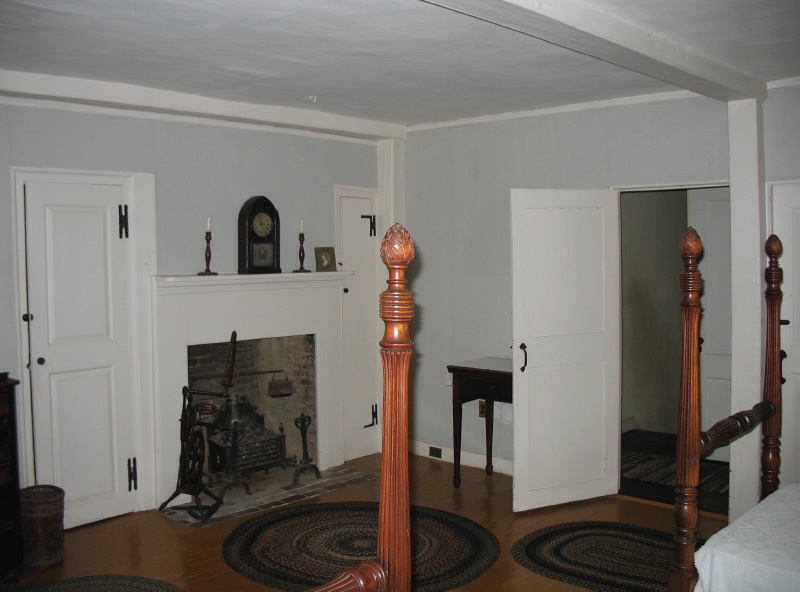 Old floors are a feature that everyone loves about an historic house. Care should be taken when refinishing old floors, especially ones that have never been sanded. Hand sanding is the safest method for any softwood floor to retain its hand planed character. A later hardwood floor can usually be mechanically sanded to expose a clean, surface for refinishing– but waxing and buffing may be sufficient to renew its appearance. 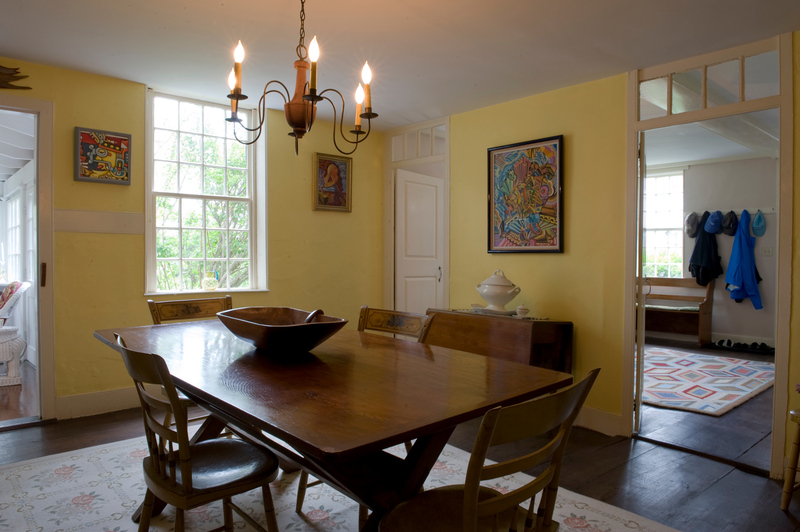 Old floors are worth preserving and help make a Nantucket house historic. The house was purchased in 1946 by Richard and Edna Williams. The family carefully refurnished the house and spent each summer here for over thirty years. In 1977, their daughter Muriel became the owner. She continued her parents’ sensitive approach, repairing but never changing historic features. As she witnessed rapid ch ange to Nantucket’s historic houses in the 1990s, Muriel decided to place 4 Traders Lane under a preservation easement to ensure its protection and enjoyment for future generations. Besides saving the house, which is one of the most intact and finest examples of the Typical Nantucket House, Muriel protected the large side yard that is an important garden and open space for the entire Fish Lot neighborhood. Today, the third generation of the Williams family (Billi and Bobby Gosh) continues the family tradition of stewardship. 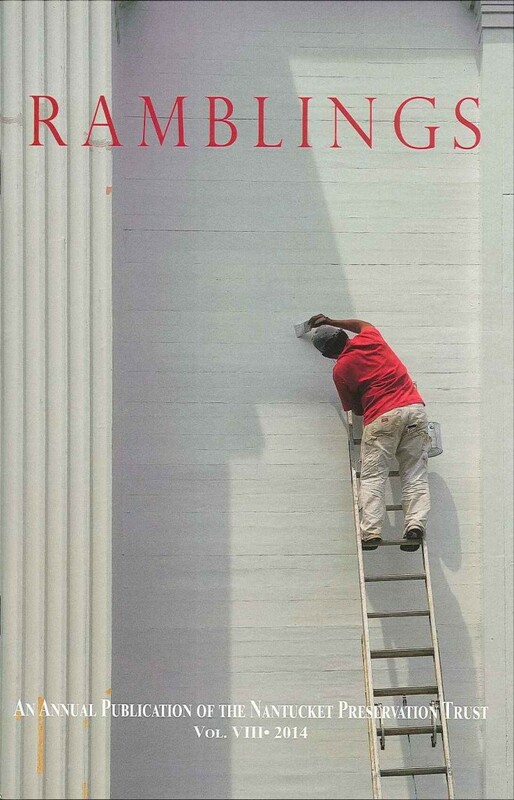 The 2014 architectural walking tours will begin on Thursday, June 19 and run through Friday, August 8. 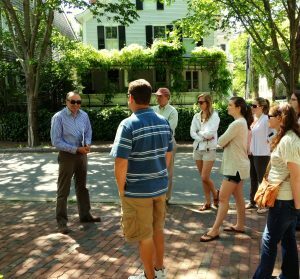 Started in 2006, the tours are a way to educate and raise community awareness about Nantucket’s historic architectural heritage. 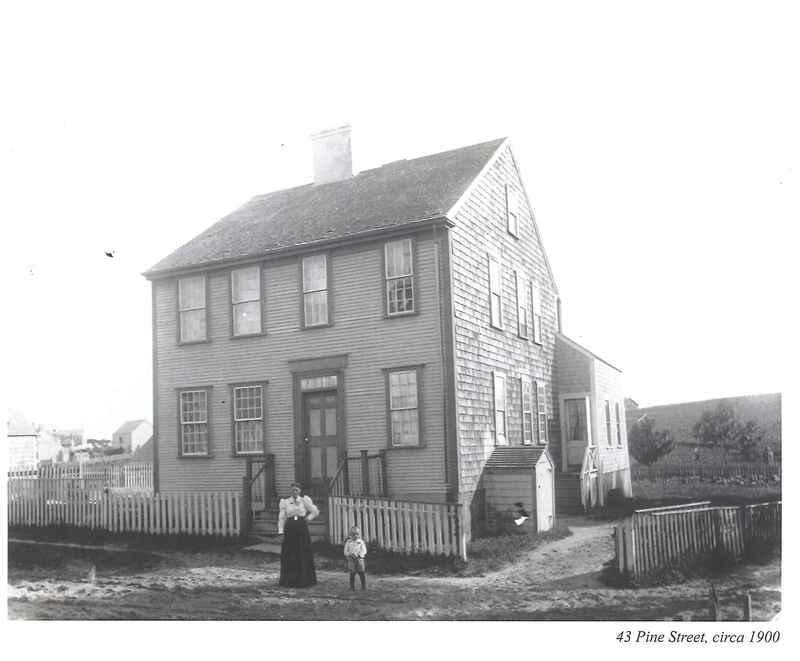 A Walk Down Main Street Tour and ’Sconset Tour provide an opportunity to learn about the island’s unique history and remarkable heritage. Tours are 75 minutes long and cost $10 per person (no reservations needed). The ’Sconset Tour is given by Executive Director Michael May, who shares his knowledge of the unique fishing settlement at the eastern edge of the island. The tour focuses on the early “whalehouses” as well as the village’s boom as a seaside resort and actors colony at the end of the 1800s. The tour begins at ’Sconset’s Pump Square (New and Shell Streets) at 4:00 PM (no reservations required).This is a special tour offered Fridays once a month on the following dates: June 27, July 11, August 1 and September 5. The most common historic house on island is the 2 1/2 story home with four openings per floor along the building’s front. 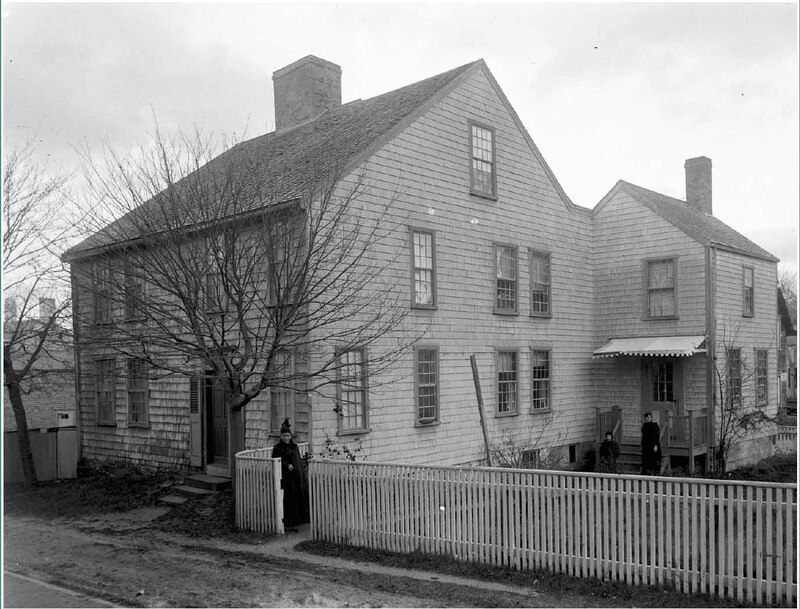 Known as the typical Nantucket house, these dwellings first appeared about 1760 and became the predominant house on island through the early 1800s. Today more than 175 typical Nantucket houses remain in town–by far the largest number of any house form. 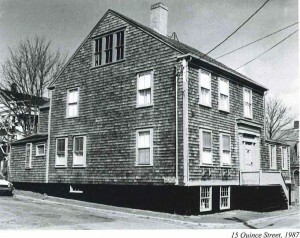 Although long associated with Quakers, the house was built by others in coastal southeast New England. It was likely adopted here due to its simple functional form–easily adapted to the town’s lanes and narrow lots. Ever wonder how early Nantucket houses were built? They used timber framing—the standard construction method until the mid-1800s. Building materials were scarce and, like today, had to be shipped from the mainland. Timbers were hand-hewned, joined together, then numbered for easy re-assembly by the Nantucket carpenter. Timber elements were proudly exposed on the house interior, and horizontal beams were decorated with a bead or champfer along the edges. These elements provide character and help make a Nantucket house historic. 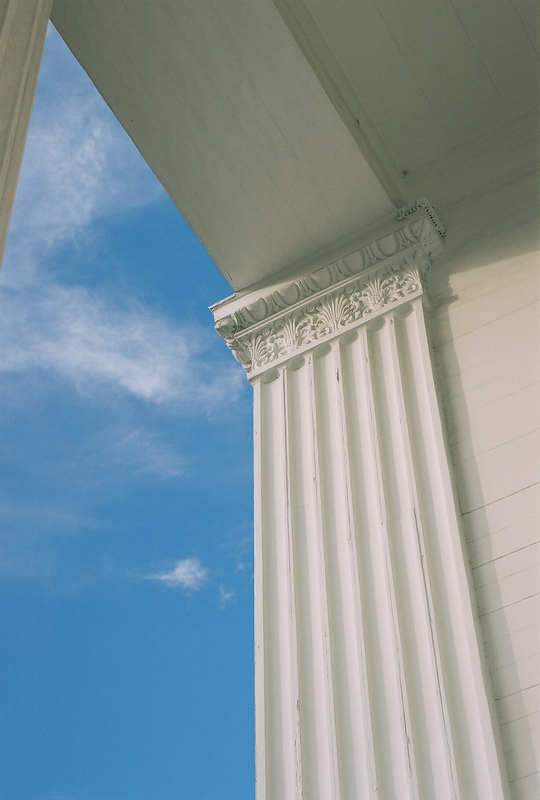 Much of Nantucket’s historic architecture is categorized as Greek Revival—a style that was dominant on island during the whaling heyday of the 1830s to the Civil War. The reason is twofold: not only was this period the time of greatest expansion and wealth, but when one seventh of the town burned to the ground in 1846, the earlier wooden buildings were rebuilt in the fashionable Greek Revival style. Most houses in this style have classical doorways with transom, sidelights and columns. Elaborate Greek Revival public buildings include the Athenuem and the Methodist Church. NPT member copies have been mailed and should be received shortly. If you’d like a complimentary copy please stop by on of the following locations or click here to for a mailed copy. The Nantucket Preservation Trust is pleased to welcome our 2014 Interns, Sal Cumellagrew and Briane Shane. The NPT’s intern are both alumni students of The Preservation Institute Nantucket (PIN) field school, which is in affiliation with The University of Florida’s Historic Preservation Program. For more information regarding PIN please click here. Salvatore (Sal) Cumella grew up in Spring Hill, FL. He has a B.A.in History from the University of Florida with a minor in Classical Studies. After completing his BA, Sal worked as a Live Nursery Specialist for Lowe’s Home Improvement. During his time there, Sal undertook the task of managing various community relations projects funded through grants awarded by the Lowe’s Charitable Foundation. In 2013, Sal returned to UF to pursue a MA in one of his other interests, Historic Preservation. In summer of 2013, he participated in Preservation Institute: Nantucket program. 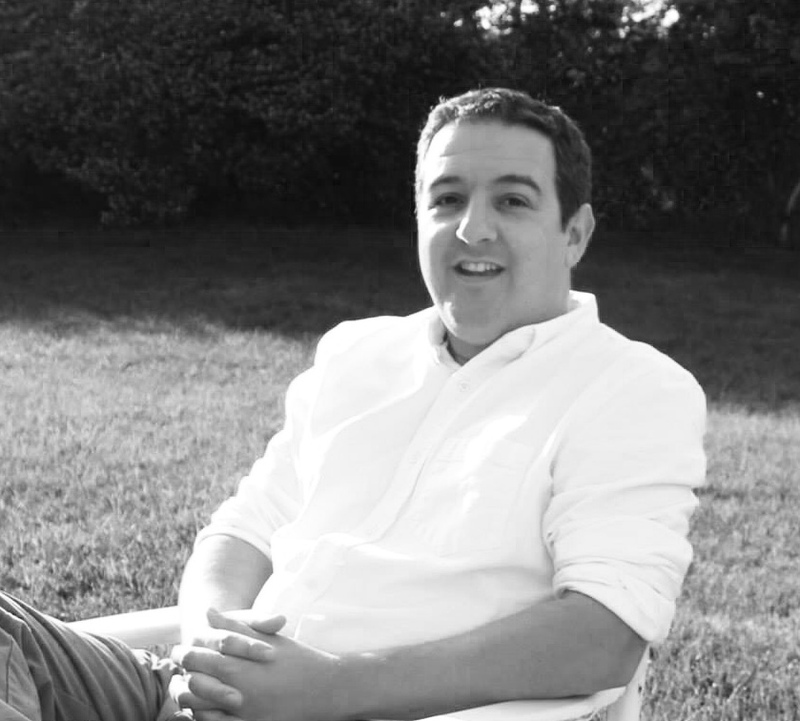 While there, he worked on project researching the evolution of tourism on the island. Sal has begun working on his Master’s thesis, in which he will evaluate the use of 3-D laser scanning as a tool to document and interpret historic interiors. His case studies will be wide ranging, including an 18th century Nantucket home, a gilded-age mansion in Florida, and an 18th century Florida plantation. In his free time, Sal is active as a Master Gardener working to educate homeowners about sustainable gardening principles. During the summer 2014 semester, Sal is excited to be interning at the Nantucket Preservation Trust. 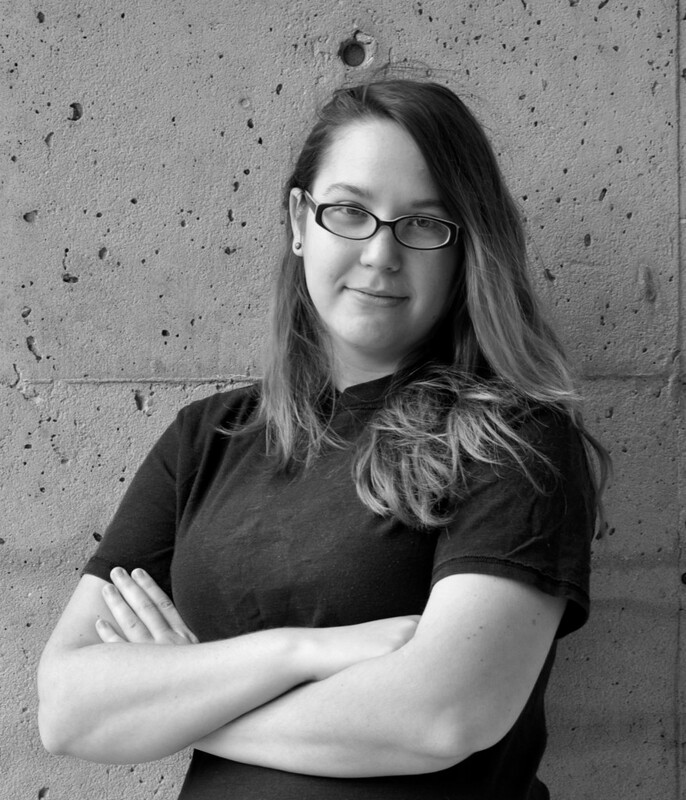 Briane Shane is a graduate stu dent at the University of Florida studying interior design and historic preservation. Originally from New York City, Briane spent most of her life in Pennsylvania and fell in love with Victorian architecture. During her undergraduate studies at Indiana University of Pennsylvania, Briane developed her research skills as a Ronald E. McNair Scholar focusing on Victorian residential architecture and design. During her time at the University of Florida, Briane has attended Preservation Institute Nantucket and assisted in teaching architectural history.Briane is in the process of completing her thesis focusing on William Pahlmann’s design of the President Hotel (1964) in Hong Kong while also assisting Preservation Institute Nantucket, and working part-time at Nantucket Preservation Trust.